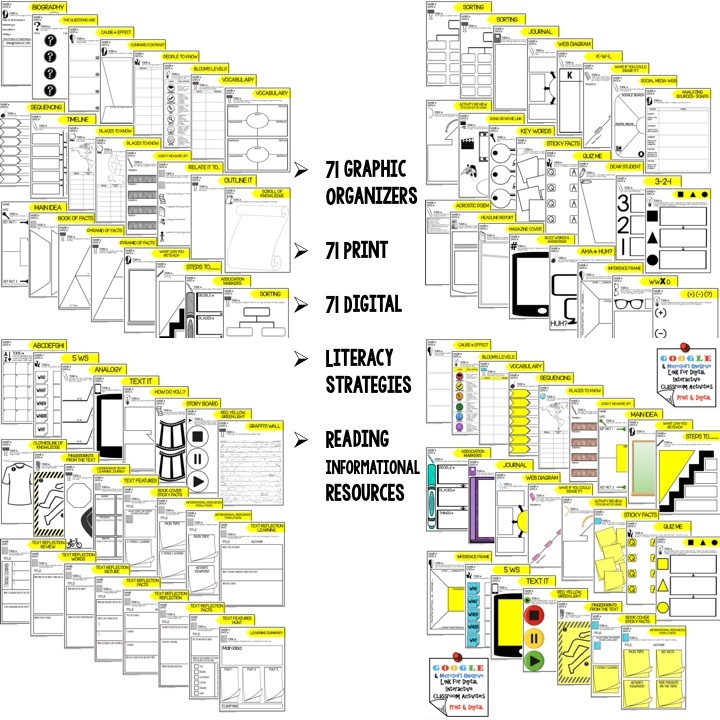 These Digital Graphic Organizers (also in print) will include ORGANIZERS for EVERYskill. 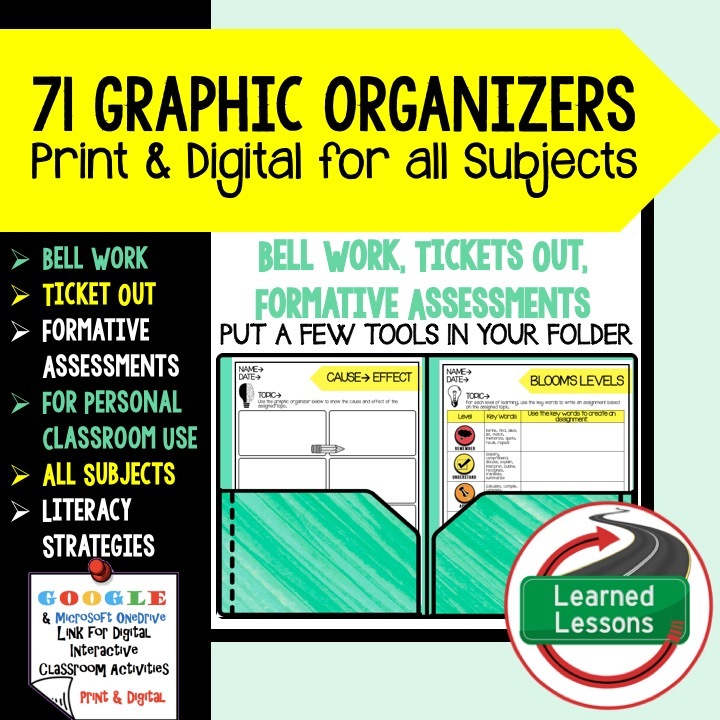 There are over 71 individual graphics and 213 pages of resources. 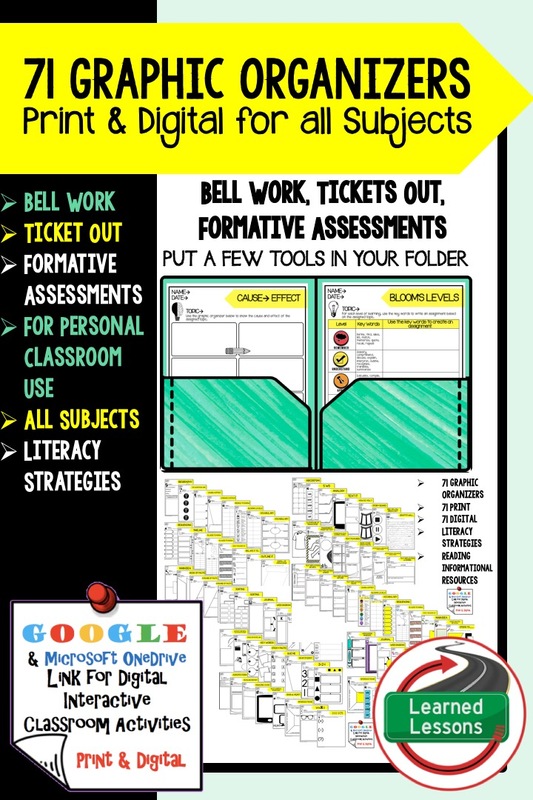 This is a great set to ensure you have a bellringer and ticket out daily. 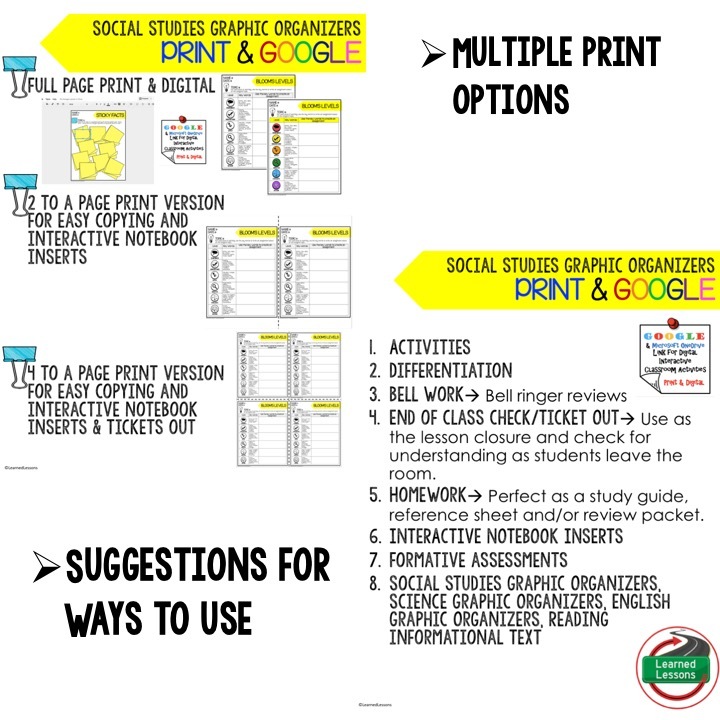 They are also great to assign as activities during the lesson. 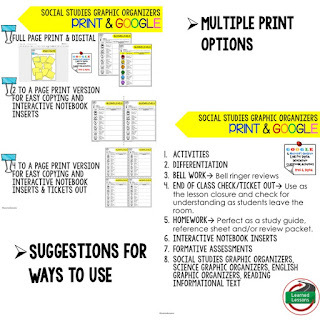 These are for personal classroom use. 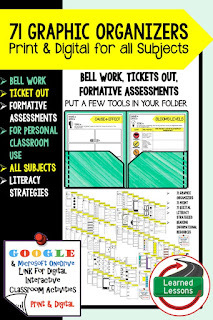 -End of Class Check/Ticket Out-- Use as the lesson closure and check for understanding as students leave the room. 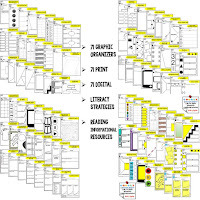 -Homework-- Perfect as a study guide, reference sheet and/or review packet. 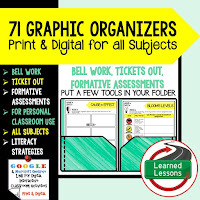 --Digital Version in Google Slides for Google Classroom (72 pages) and instructions for separating them out and assigning. What if you could erase it?